Do you dream of owning your own home someday? Don’t know where to start? Don’t know how much you can afford? Don’t know how to get a loan? It might be easier than you think. 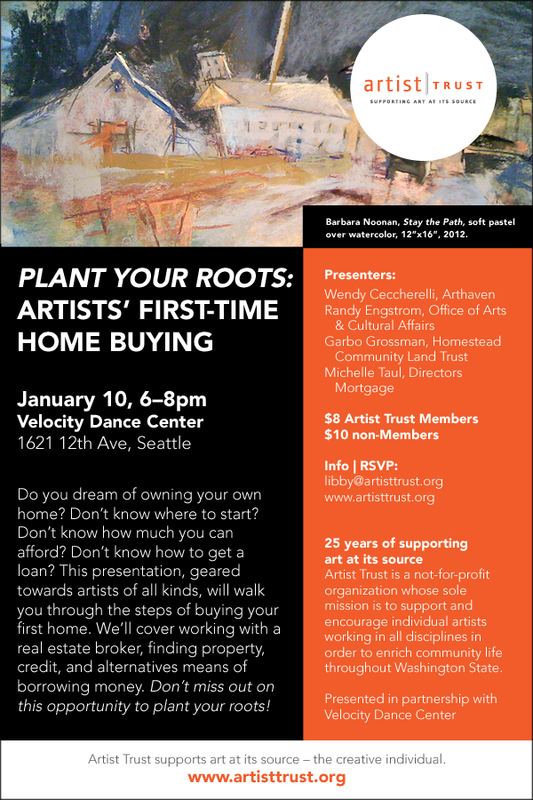 This presentation geared towards artists will walk you through the steps of buying your first home. We’ll cover working with a real estate broker, finding property, credit, and alternative means of borrowing money. Don’t miss out on this opportunity to plant your roots! Presented in partnership with Artist Trust.